The Cube includes a 250-capacity conference space, juice bar, exercise area and space for beauty treatments. It has been designed based on feedback from the company’s employees. 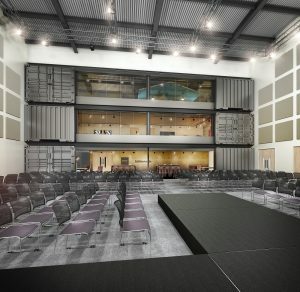 The former studio at its Liverpool headquarters will also be used for collaboration, learning and events. “The highest performing businesses have the most engaged teams. With an average of 84% right across our business – a world class engagement score – the wellbeing of our colleagues and how engaged they are is something we take hugely seriously,” explained Jacqui Humphries, group people director at Shop Direct. “This new facility will play a massive part in our wellbeing agenda, as well as helping us to introduce even more agile ways of working, creating better collaboration and quicker innovation for our customers. " The company will be providing healthy meals, fresh vegetable juices and it will also offer health checks. “Our people, and the people we want to hire, expect to come to a collaborative digital workplace that’s full of purpose, passion and creativity. The Cube gives us just that,” added Alex Baldock, CEO at Shop Direct.